Summer is that time of year where the weather is nice and we naturally think about getting away from the daily grind. For us that typically means visit family because we want our little ones to see all our loved ones. Traveling when you have a teeny tiny can be challenging. At home we have stations of activities to occupy our little guy. We also have all our supplies right at hand. 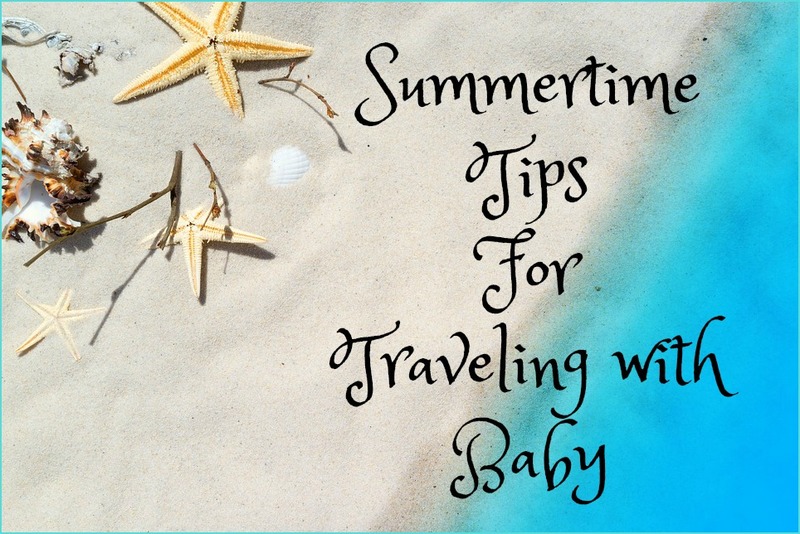 While it can be tricky I think these tips will help you have a smooth vacation with your baby. The first thing I do when going away with baby is list the things we will need. This ranges from clothing for each day to special baby wash to medicines. Having a check list means I won't forget anything important. Packing toys is essential for occupying you little one. Playmats like Tiny Love Under The Sea Gymini make the perfect travel companion. It folds up taking up limited space plus the attached toys can be removed which makes them double duty. A good stroller is a must have for any travel. 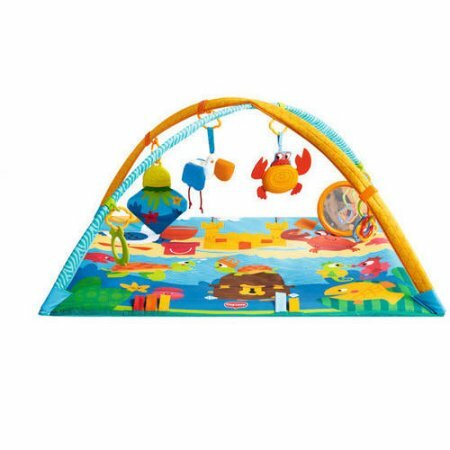 Another idea is Tiny Love's Under The Sea Gymini Bouncer. This thing is awesome. It will occupy baby during play and can also be great for feeding. The toy bars move so you can easily get baby in and out. It is easier to prepare for a problem when away from home then scrambling to deal with it. I always carry a small emergency case with fever reducer, diaper rash cream and lavender essential oil. This way I'm covered with everything. While we don't bring our infant tub we do plan for bath time. I always pack wash cloths and hooded towels - like the Whale and Anchor set from Just Born. 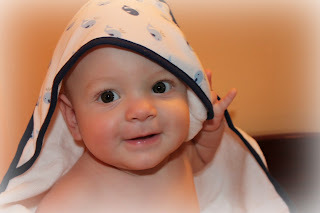 Hooded towels are great for bath time and for beach time. Don't forget baby wash and lotion. I always pack extra clothes for baby. You never know if your are going to have a bad day and go through several outfits all at once. Being on vacation means you might not have full access to a washing machine so have a little extra makes this easy - besides their clothes are tiny so they don't take up much space. I bring extra wipes and diapers as well. It is easier than having to run out and grab them and you will use them as you go along the trip and have less to pack on the way home. Traveling kids is one of the most memorable times. A little prepping will make sure you have a wonderful stress free time.